Your piano can be one of the hardest things to move in your home. Because they can weigh anywhere between 300 lbs to over 1,000 lbs, there’s no way to move it by yourself. In addition, the large dimensions of a piano make it incredibly awkward to carry. Both of these factors greatly increase the risk factor when moving your piano, raising your odds of breaking it. Even though the outside of your piano might have a strong, sturdy appearance, the inner workings are incredibly delicate, finely tuned mechanisms. Any sort of damage, minor or major, to your piano can hurt its ability to play music as intended. It’s Important to take the utmost care in moving your piano to avoid any issues. That’s where Marrins Moving comes in. Our expert movers have been helping people move their pianos for years, and we have it down to a science. We make a complete outline for moving your piano from where it is to where it’s going. Our movers take the time to move your piano painlessly, quickly, and carefully so you don’t have to. We use the best techniques to move pianos, including using the best equipment, knowing the best ways to hold a piano, and having a strong awareness of environments. When you contact us for your piano moving needs, the first thing we’ll do is learn a little bit about you and what kind of moving situation you’re working with. We want to make sure we’re well-informed on the layouts of everything before we get to work. Once we’ve assessed the layout, we’ll arrive on the date and time you specify to begin the move. We use a combination of moving dolly, heavy duty furniture straps, blankets, and a well-equipped truck to take on the job. Our combination of a clear strategy, expert communication, and experience loading and unloading pianos give us the edge we need to do the best job. Our goal is to put your mind at ease while we set to work. No matter how far you need to move your piano — whether it’s up a flight of stairs, across the street, or to a different zip code — we want to be the ones who help you get it there in the same condition we found it in. 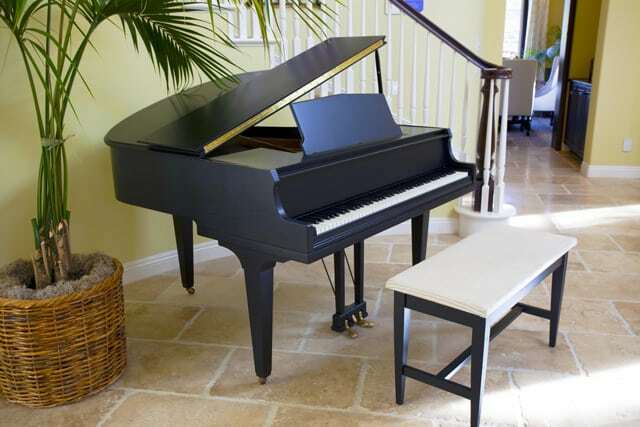 Our experts have the precision and care needed to move, load, and unload a piano without issue. If you need to move more than one piano, we can move as many as you want with the same satisfaction guarantee. We believe that if you’re going to let somebody move your piano, it should arrive in the same condition that they found it in. At Marrins Moving, whenever we move something for anyone, our main goal is to leave them satisfied with our service. We want to go above and beyond to make moving your piano as painless for you as possible, and we guarantee you the best service possible. When you hire someone who doesn’t know exactly what they’re doing, the results could be disastrous. Don’t settle for companies that don’t provide the best level of care for your piano. If you’re interested in using Marrins Moving for your piano, don’t hesitate to contact us. We can give you a FREE on-site assessment to plan out the best way to move your piano. We can even provide you with a quote on the spot. There’s no reason you should have to settle for less when you relocate your piano.